Do you want to quickly and easily digitize your scanned drawings into accurate DWG, DXF (DGN or any other CAD formats) for fast and efficient editing in CAD – without spending a fortune? Design Presentation is one of the leading companies in the world for digitization/ vectorization, a robust and comprehensive conversion solution that is suitable for every professional, commercial, industrial and scientific activity. Vectorization is the most powerful solution for digitizing vector data from image sources. Our competitively priced solution saves you money and time. • Size Independent: The image can be scaled up or down without any loss in image quality. • Can be Updated or Partially Changed: A library can be maintained and can be upgraded or modified. newspapers, service bulletins and host of areas. In order to digitize your raster images, we create a drawing as a new file; the final output is editable and will be in DXF, DWG or DGN format and can have as many layers as you require. We provide highly accurate, cost-effective digitization services with a quick turn around even on large jobs.We offer the digitization of architectural, engineering, construction, and CAD or GIS files. Both manual and automated (auto-vectorization) services. A unique platform for industry-oriented solutions and tools to get a perfect set of vector data. Architectural, civil, engineering, construction, electrical, mechanical CAD or GIS files, ready-to-use, created from raster images, maps, blueprints etc. Since we create a new file, we can create as many layers as you require. We generate separate layers for dimensions, text, body, hidden lines, and centerlines, etc. 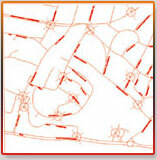 The converted drawings (using our Scan2CAD conversion process) are manually drawn with precision. ARC, BNA, CDF, CGM, CLP, CPS3, DGI, DLIS, DWG, DXF, FINDER, IES, LAS, LDF, LIS, MIF, SEGP1, SHP, ZMAP, etc. Our digitizing services will also allow you to convert any logo or graphic to vector format. If you have an old logo, graphic or artwork that is hand drawn or scanned, it can be digitized. All we need from you is a scan or copy of the image to be digitized, just clear enough to see details. Our ideal mix of quality, consistency and competitive prices has led to long term relationships with customers. 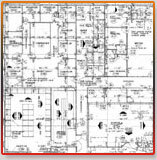 Our large infrastructure and experience allows us to provide highest quality of CAD services at amazing low prices. We guarantee 99.99% accuracy in the final output. 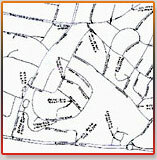 We use in-house software and techniques for de-speckling and de-skewing rasters. We use a heads-up manual redraw process for conversion to ensure dimensionally accurate CAD perfect output. 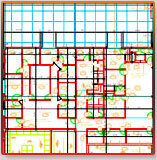 We have a large pool of Engineers and CAD Technicians who can produce high-end vectorized output from a raster format. The team is headed by qualified engineers with extensive experience. Our customers include the most prestigious names in engineering, large and small, throughout North America and Europe. We craft our imaging services to address each client’s specific needs, never force-fitting customers into a standardized framework. Having served a large number of clients worldwide, we are familiar with detailing procedures that are seldom captured by any purely software-based solution.